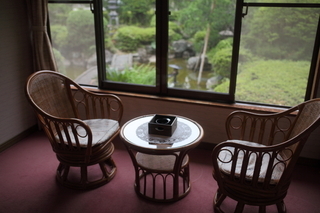 Surrounded by gardens, stop a while and calm your mind at our affordable Japanese family style inn. Suigo is situated next to the abundantly flowing Maruyama River and accented with a large Japanese garden. Guests can expect to have a satisfactory stay and low prices at our pleasant inn. Outside is our garden filled with beautiful landscaping and flowers, inside delicious meals are prepared with fresh seafood and ingredients from the local area. Suigo also proudly serves exquisite crab dishes in the winter season. 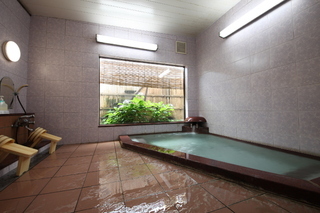 There is an indoor public bath in Suigo that can be used privately. Suigo Inn's treasured Japanese garden. 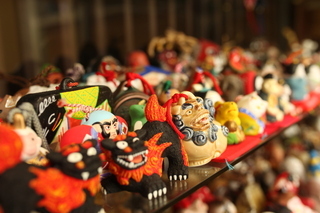 ”One of the lowest prices in town.” One night lodging costs you just from JPY4320. "Fulfilling Hot springs" Indoor public bath, separated male and female, is available anytime until 22:00. It opens from 7 am. "Enjoy outdoor public bathes" Since Suigo is located away from center of town, we will provide free shuttle services to JR kinosaki onsen station. Please book at the front desk. "Meals" No meals are included with this plan. We will recommend you dinning places for dinner and breakfast. You are allowed to bring outside food, but please remember there is no refrigerator provided in your room. "Suigo" Enjoy and relax our Japanese-style room. "Information" Check in time: 15:00 to 20:00 About baggage keeps, ask at "Kinosaki Information Counter" http://www.kinosaki-web.com/en/counter/ Free shuttle bus services are provided after 15:00 for guests who will come by JR train. Please contact us when you arrive at the station. * Hot spring bathing tax JPY 150, Additional fee JPY 220. Total additional fee JPY370. * Credit Card payment is accepted. 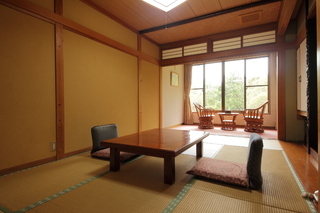 Our rooms are all Japanese-style rooms off of the garden. This public bath can also be used privately. There is free parking lot. No reservation required. Service fees and consumption taxes are included in the pricing. 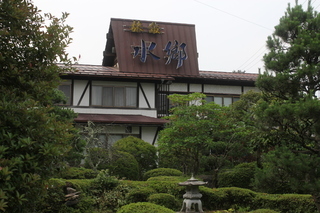 There is an extra charge for hot spring taxes per person per night (JPY 150, adults only). There is an extra charge for use of baths (adults-JPY 210, children-1/2 off).